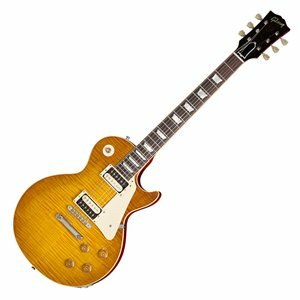 At the same time as Gibson are reducing the price of most Les Paul models we have here the latest offering from the Custom Shop Series and a bargain at around £5699. This is a replica of a 1959 Les Paul, arguable seen as the most desirable of all Les Paul models in it’s time. There are additional authentic touches including the ABR-1 bridge and lightweight aluminium stop bar tailpiece. Also with a pair of Custom Bucker, Alnico 3 pickups with Zebra coils, said to give an authentic ’50s Les Paul tone.